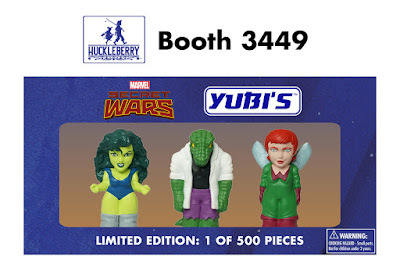 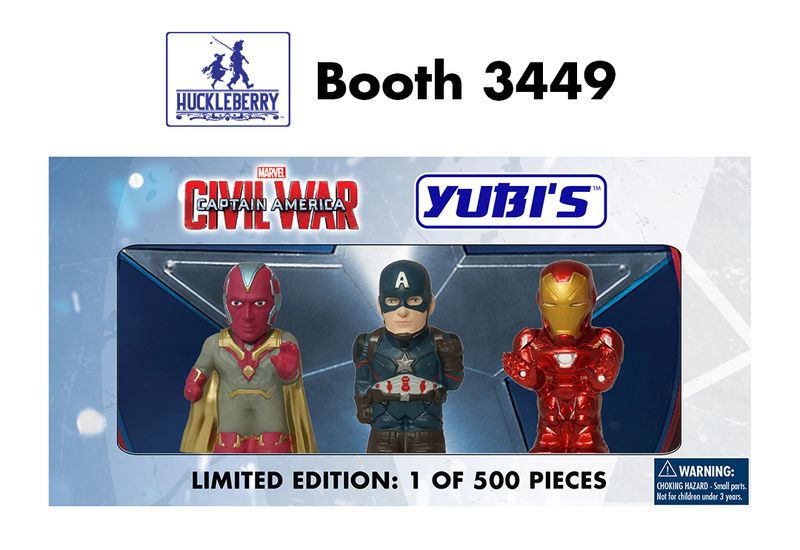 Later this month at San Diego Comic-Con 2016, Huckleberry will be officially launching their new line of YUBI’S Fingerines vinyl figures with five exciting SDCC exclusive sets. 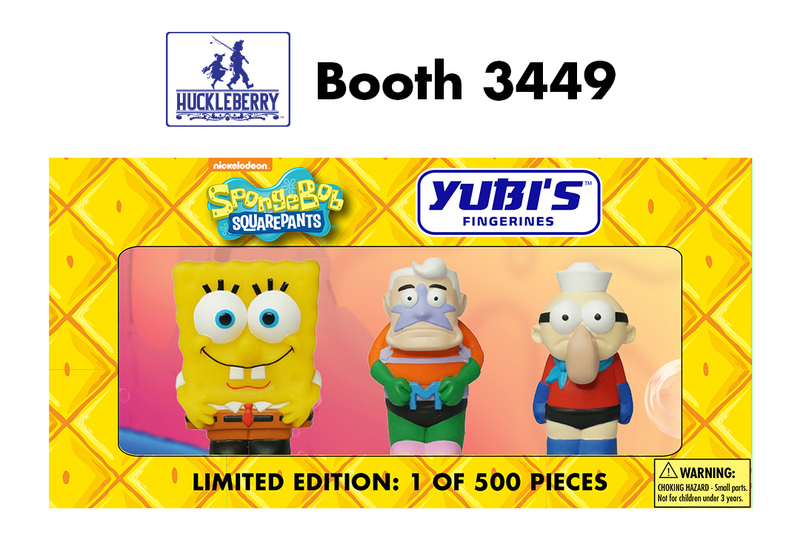 The various 2.25” YUBI’S toy lines are being made in one run editions to ensure collectability and will consist of 10 different characters per series, with mystery chase YUBI’S added into the mix. These San Diego Comic-Con 2016 Exclusive YUBI’S Fingerines sets will contain figures that will never be made again and are not repaints from the series they are coming from. 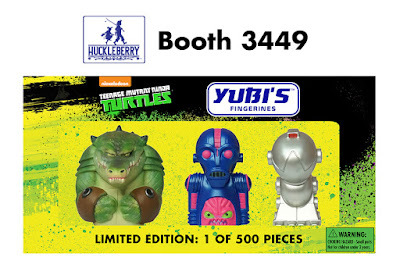 In short, this is the only chance you will have to get these designs, as the molds have been broken and are a one-time only release. 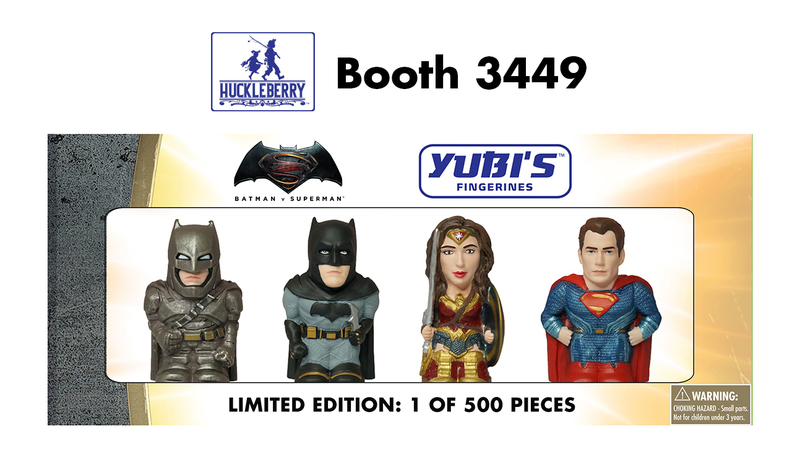 Fans must visit the Huckleberry SDCC booth #3449 to pick up these five exclusive sets: Batman vs Superman includes Armored Batman, Batman, Wonder Woman and Superman, is limited to 500 pieces and retails for $25; Marvel Secret Wars includes She-Hulk, The Lizard and Wasp, is limited to 500 pieces and retails for $20. Captain America: Civil War includes Vision, Captain America and Iron Man, is limited to 500 pieces and retails for $20; Teenage Mutant Ninja Turtles includes Leatherhead, Kraang and Mouser, is limited to 500 pieces and retails for $20; and SpongeBob SquarePants includes Glow in the Dark Spongebob, Merman and Barnacle Boy, is limited to 500 pieces and retails for $20.